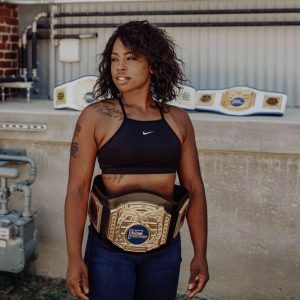 Flyweight newcomer Chantel “Killa” Coates (0-0) will be making her pro-debut at Invicta 33. She will be facing Ashlynn Kleinbeck (0-0). This bout was previously scheduled for September but was pulled from the event after Kleinbeck suffered an appendicitis during fight week and Invicta was unable to find a replacement for Coates. This is the third time this match up has been set up, hopefully three times is a charm! With less than two weeks away and fingers crossed this fight looks like it will be a go! Invicta FC 33 takes place from the historic Scottish Rite Temple in Kansas City on December 15th 2018. The night’s opening bout between Coates and Kleinbeck will be simulcast on Facebook and UFC Fight Pass. Watch the entire episode on YouTube! !